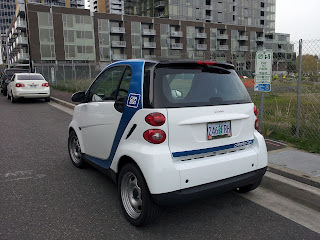 Have you seen these little guys parked around the neighborhood this week? They are calling it "car sharing 2.0". It's a little crazy! 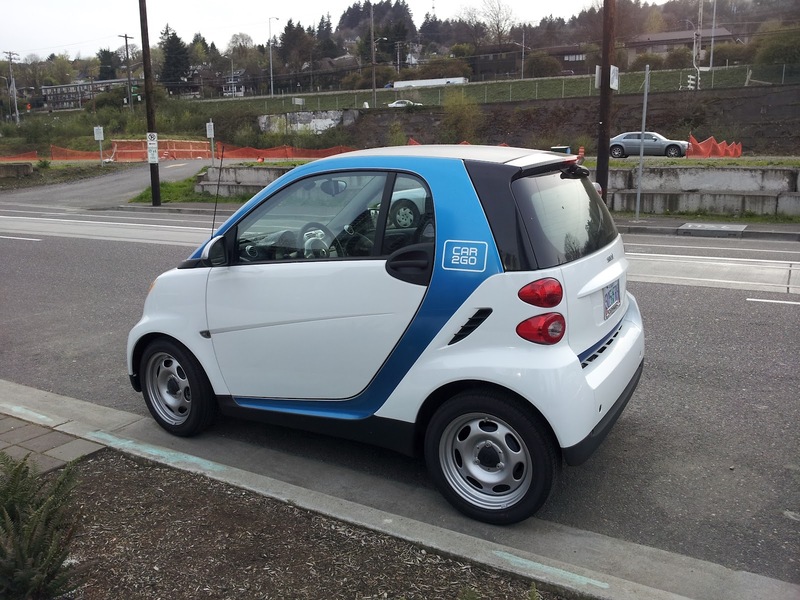 After you become a Car2Go member, you can find a car anywhere and return it anywhere*. 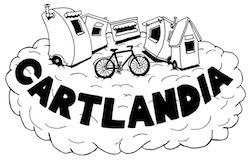 Here is a map of their Portland locations. Here's how it works: "Once you hold the car2go Member Card up to the card reader on the windshield, the vehicle opens..." You enter a pin, and they bill you for the minutes you use the car. "Park at any City of Portland controlled metered or pay station parking space that is not restricted, without paying meter fees." Luckily these little go-cars are tiny, or I think folks would be a little annoyed about their free parking status. I haven't seen any of them move yet, but look forward to seeing if people start using the service. 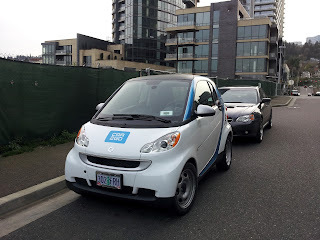 If you have any experience with Car2Go, or decide to try it out, I'd love to hear from you! * Details on 'Where and Where Note to Park' are listed on their site.